The new Swisse Victorian head office was designed to accommodate the rapidly growing team and reflect the company philosophy. 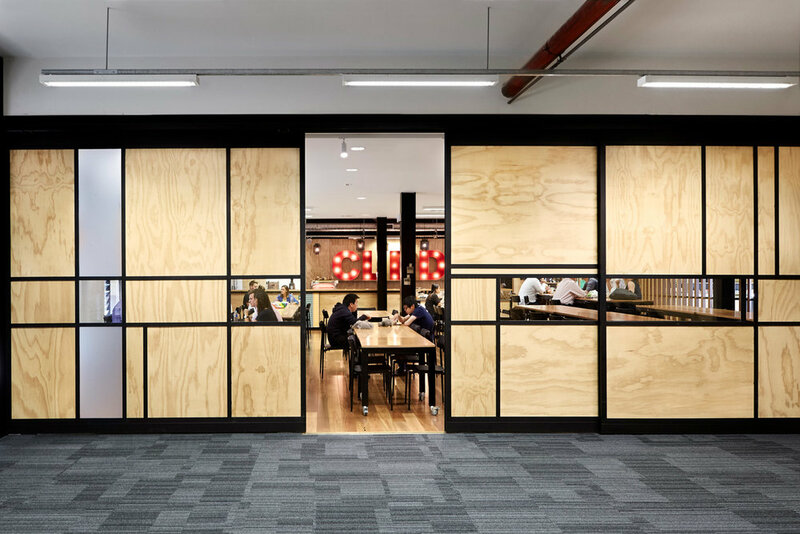 Efficient planning of the new office into an existing heritage-listed Foy and Gibson factory building in the heart of Collingwood, has provided social open plan office spaces and shared private meeting rooms and multi-use areas. 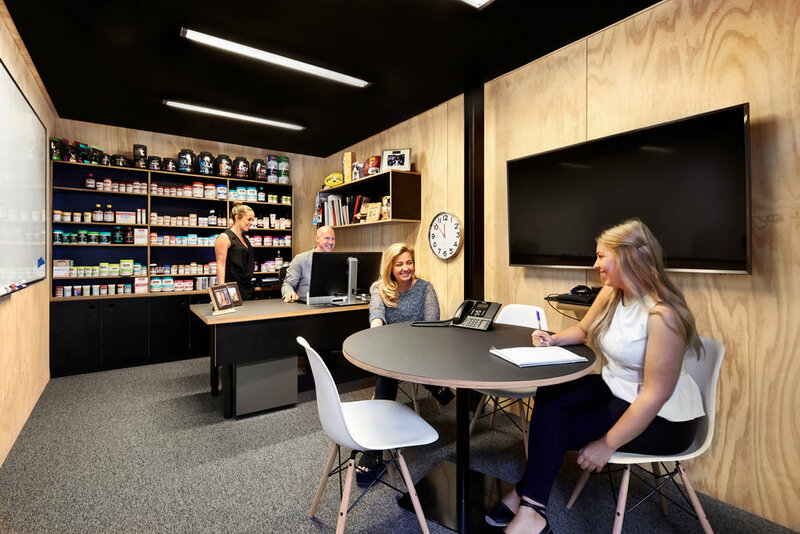 This enabled the growing team at Swisse the flexibility to adjust the space to suit demand and to have access to a range of facilities. The adaptive re-use of the existing space and building fabric has extended the life of the existing building and minimised material waste by avoiding the unnecessary demolition and rebuilding. Energy efficiency was prioritised with access to natural daylight and ventilation by positioning the majority of built spaces toward the centre, pushing the open plan workstation areas to the periphery of each level. Through the use of natural light, environmentally friendly materials and flexible and social work spaces, the new office allows for a holistic representation of the core branding and business philosophy of a ‘happy and healthy lifestyle’ to be shared with all staff and visitors.